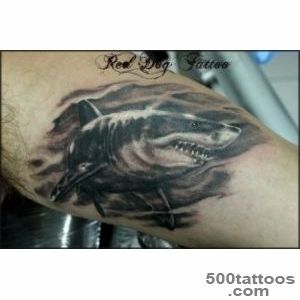 Marine predator - the shark at all times been the subject of fear and admiration at the same time. 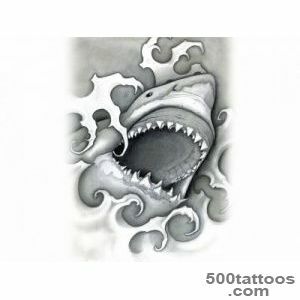 This dangerous inhabitant of the deep sea is the epitome of speed, strength and bloodlust. 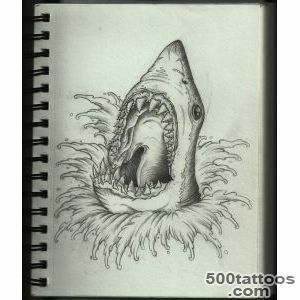 What could be more dangerous than these three components, connected in one! 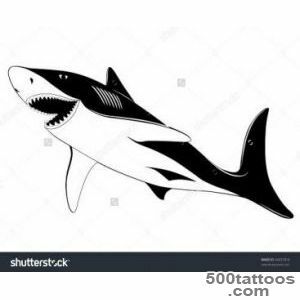 In many ways, these qualities can be applied to modern business practices, in this connection,Shark is a kind of unofficial mascot and symbol of all the businessmen. 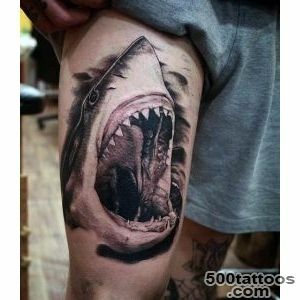 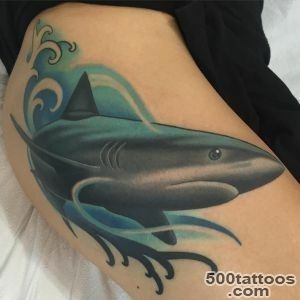 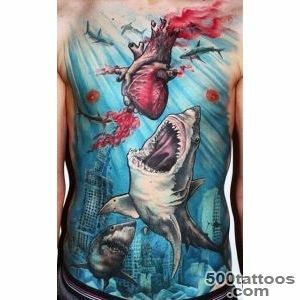 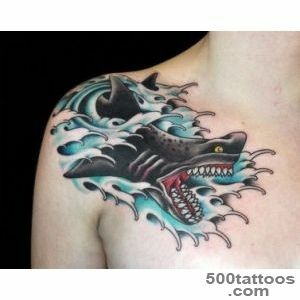 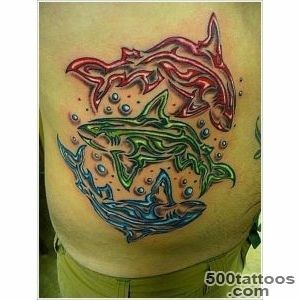 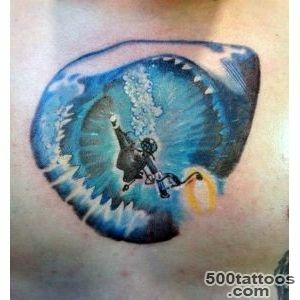 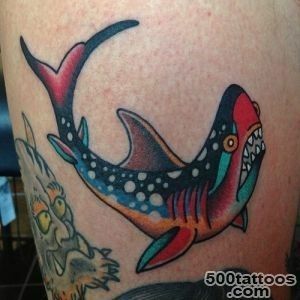 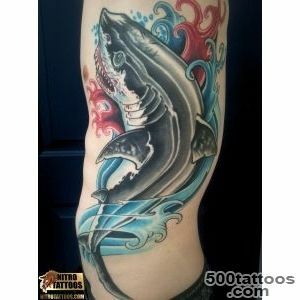 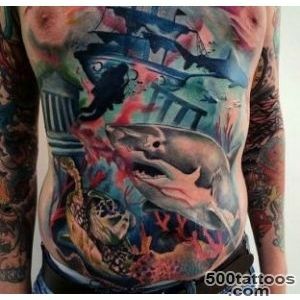 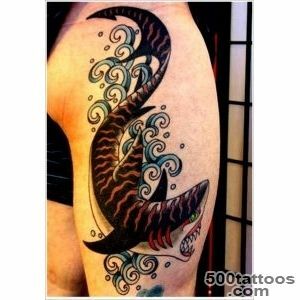 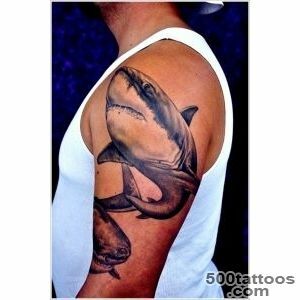 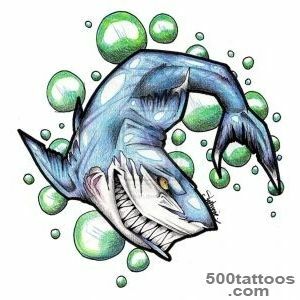 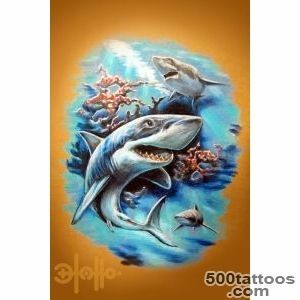 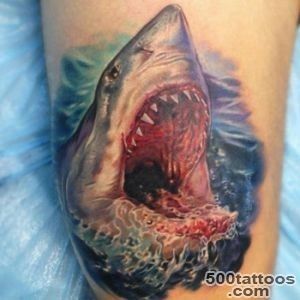 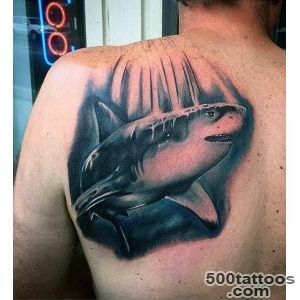 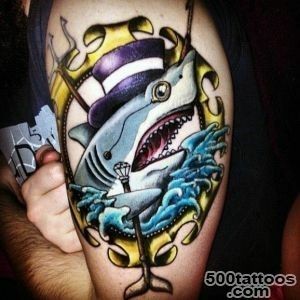 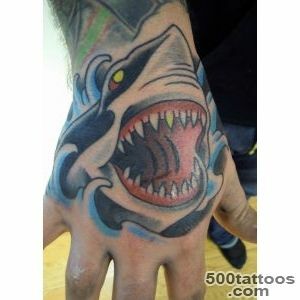 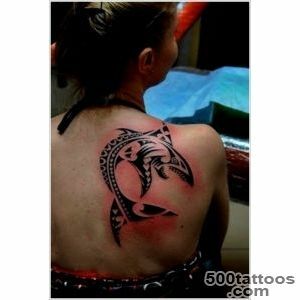 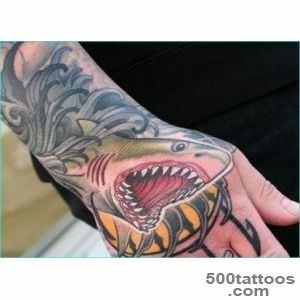 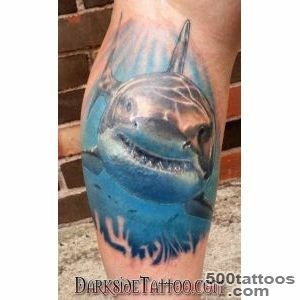 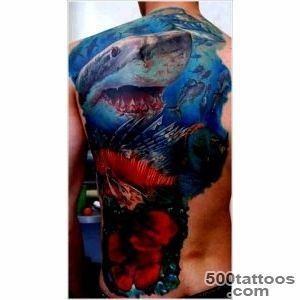 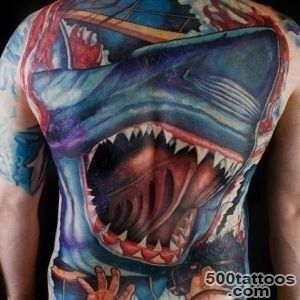 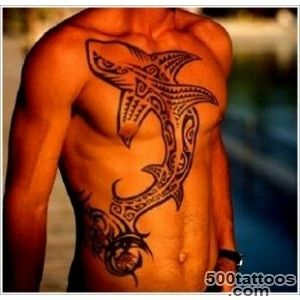 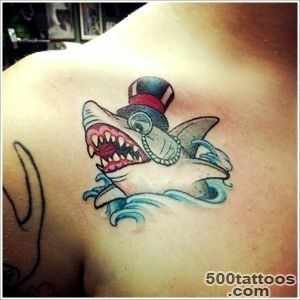 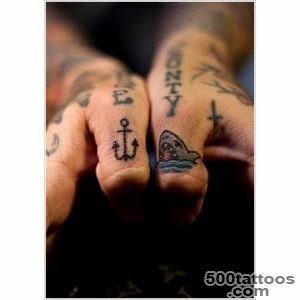 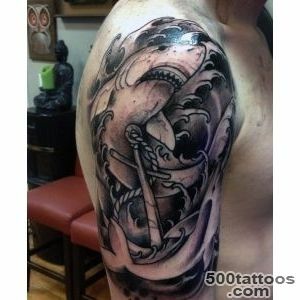 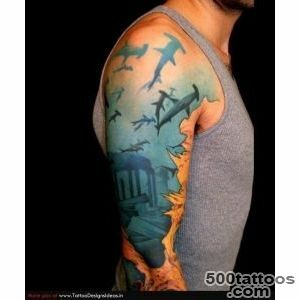 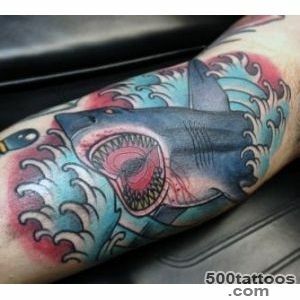 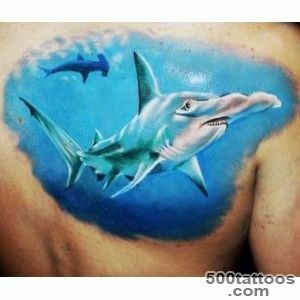 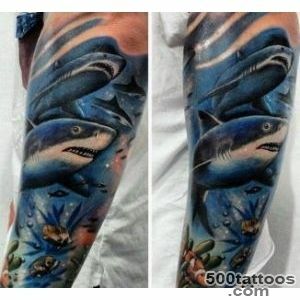 shark tattoo symbolizes courage of its owner, who does not disdain to achieve their goals, they say, " to go over the heads ". 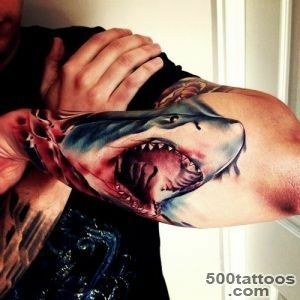 Such people want to show that does not like to try to limit his freedom, he is a born leader. 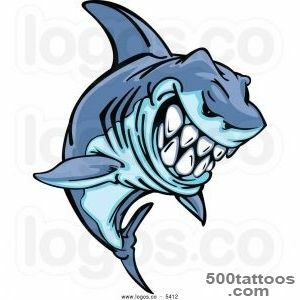 The value of Option 2Shark - the most sophisticated predator, it has enormous power, power, self-confidence, it is very persistent in achieving their goals and do not stop not before some obstacles. 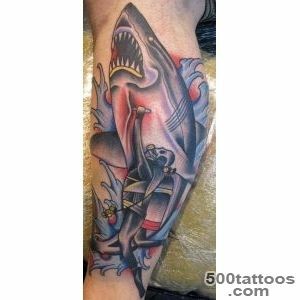 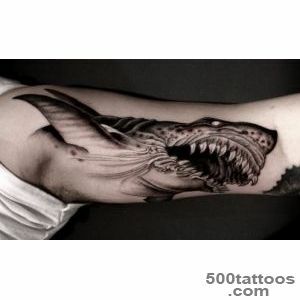 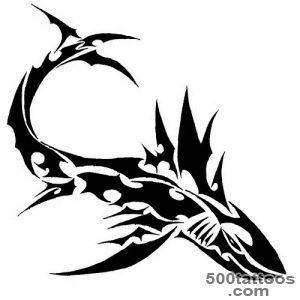 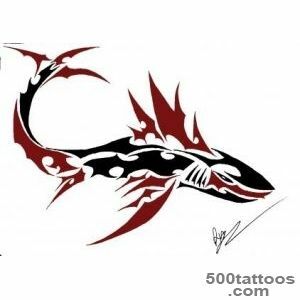 Tattoo Shark men do often, but women can not afford such a tattoo to emphasize freedom,strength and cause the surrounding mixture of admiration and fear. 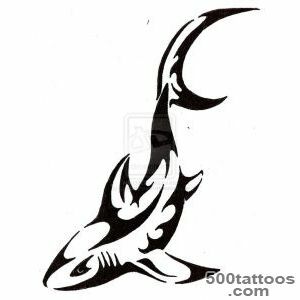 Since ancient times, Shark symbolized power, dominance and superiority over others. 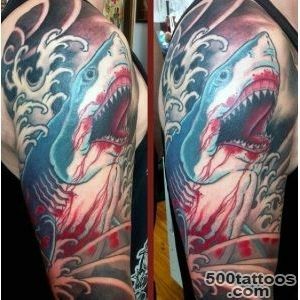 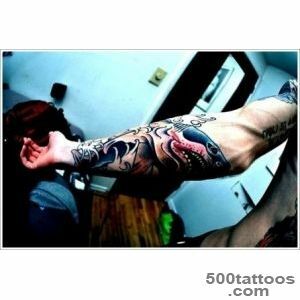 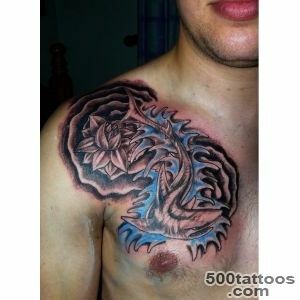 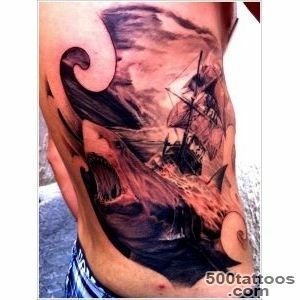 This is why many business people applied themselves like a tattoo, she says, for the owner, that he was willing to go through with defending their interests,He single-minded and persistent in achieving their goals, and it is perfectly possible to him because his business is booming. 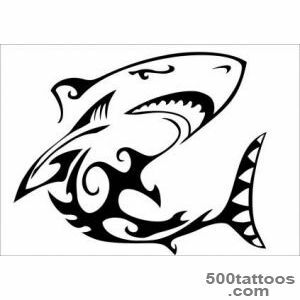 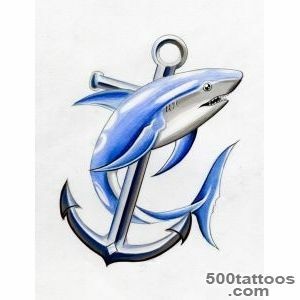 And the people who are connected with the sea, Shark image is a powerful talisman that helps and protects from enemies and predators. 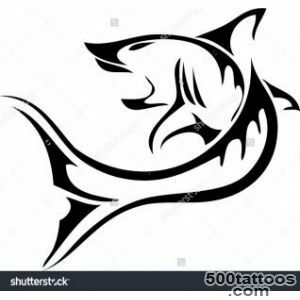 Sailors and fishermen believe that Shark helps them to easily go back home to family and friends,because it still symbolizes the powerful spirit of the waters or marine messenger of the gods.